The Outsiders by S E Hinton is a ground-breaking, timeless story by a brilliant writer. '...the hand at the back of my neck was strong. I'm drowning, I thought ...' The Socs' idea of having a good time is beating up Greasers like Ponyboy. Ponyboy knows what to expect and knows he... read full description below. 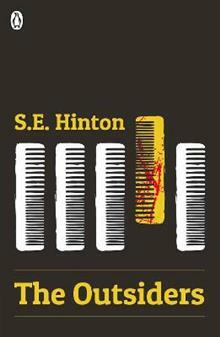 The Outsiders by S E Hinton is a ground-breaking, timeless story by a brilliant writer. '...the hand at the back of my neck was strong. I'm drowning, I thought ...' The Socs' idea of having a good time is beating up Greasers like Ponyboy. Ponyboy knows what to expect and knows he can count on his brothers and friends - until the night someone takes things too far. The original teenage rebel story.